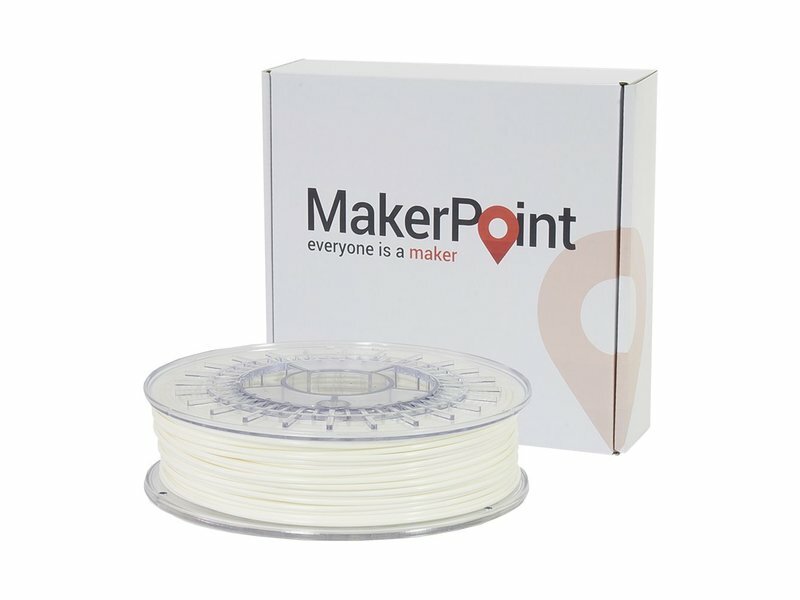 MakerPoint M-ABS is a transparent ABS filament. It is strong, durable and impact resistant. Due to the low percentage of butadiene in M-ABS this filament smells a lot less than regular ABS, and also shows less warping. 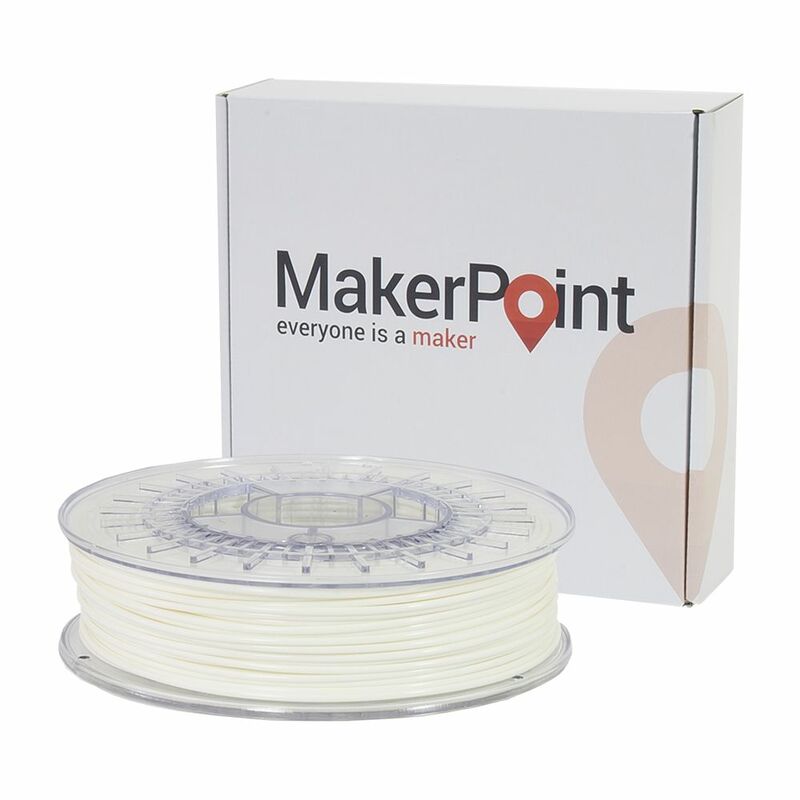 MakerPoint M-ABS is a transparent ABS filament. It is strong, durable and impact resistant. Due to the low percentage of butadiene in M-ABS this filament smells a lot less than regular ABS, and also shows less warping. The M-ABS polymer is inherently less impact resistant than ABS, but MakerPoint M-ABS filament is still approximately 3 times more impact resistant than any regular PLA on the market. The transparency of the polymer makes it also possible to manufacture deep opaque colors, if desired. MakerPoint M-ABS is available from stock in the five translucent colors, transparent, red, yellow, green and blue, and in 5 opaque colors. Special colors are available upon request with a minimum order quantity of 20kg.